The 1900 street directory is unclear as to whether it is this property that was occupied by Mr E Baldwin or if he rented part of the adjoining one at 2 Clare Terrace. What is clear is that the Dix family owned this and many other properties in this part of town. 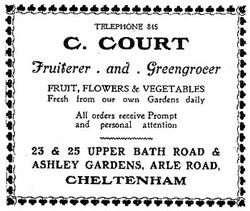 In 1907, Albert Dix moved his greengrocery business from No 2 to No 3 Clare Terrace. However by 1913 these premises became one shop with two entrances. Albert Dix ceased trading at these premises during the First World War and they were acquired by the Court family. Charles Court and his brother, William John, known as Jack, were born in Prestbury. Jack and his wife lived over the shop and they had two children, Ronald and Barbara. Most of the flowers, fruit and vegetables sold in the shop came from their family nurseries at Ashley Gardens in Arle Road. During the 1920’s, Jack and his young family moved away; Jack concentrated on floristry, whilst Charles took over running the Bath Road shop. In 1951, Mr Samuel Scott Herbert bought the shop which he kept under the name of Charles Court. His wife helped in the shop and the business expanded to include groceries and frozen foods. 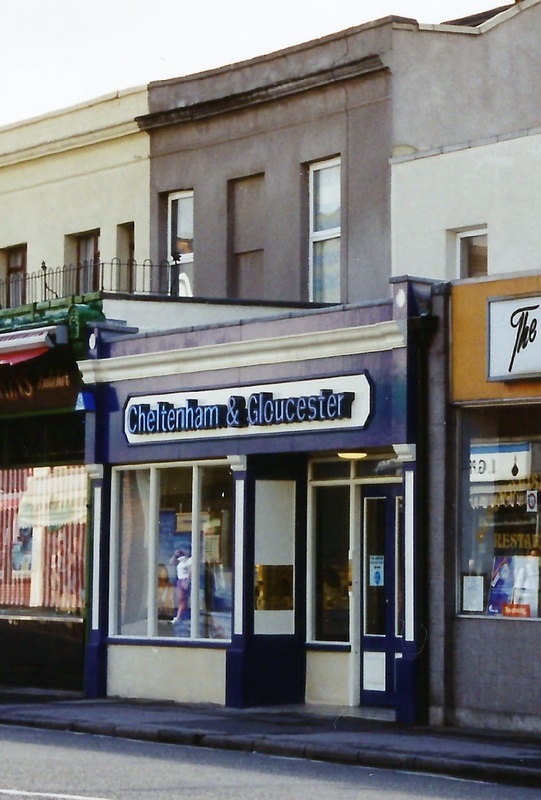 Mr Scott Herbert retired in 1992 and the premises remained empty for a while until taken over by the Cheltenham and Gloucester Building Society for their Bath Road branch. 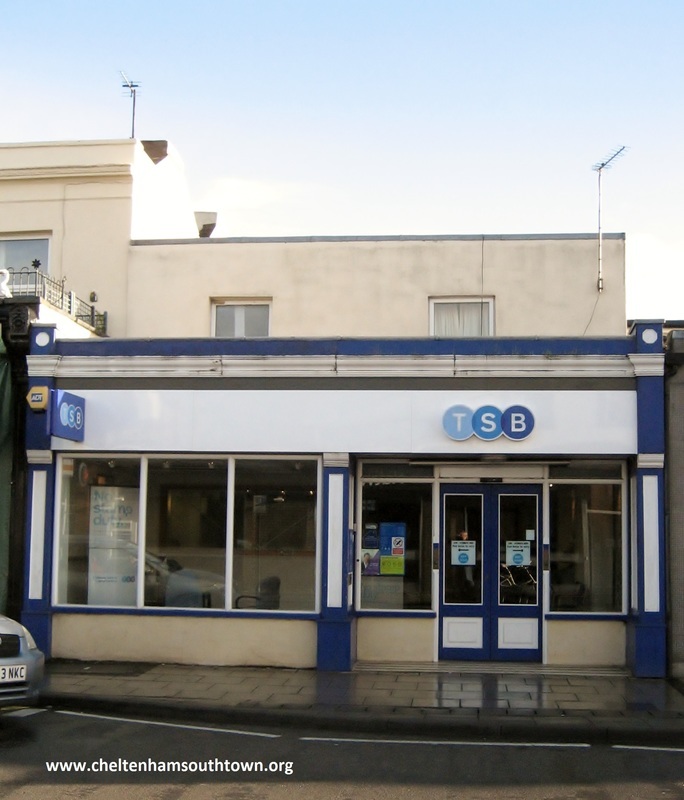 In 2013 the "C&G", which had been acquired by Lloyds Banking Group many years previously, was re-branded here in Bath Road to TSB. The Trustee Savings Bank, which was founded in 1810, had been absent from British shopping streets for a while before this development.